This is a very nice example of a colonial coral. It is a distinct specimen of Pachyphyllum sp. from the Devonian of Morocco. The large fossil has been extracted from the surrounding matrix so that it can be viewed from all angles. This colonial coral is quite 3-dimensional and shows excellent detail. The individual corallites are beautifully exhibited. On the other side of the specimen, the structure of the colony is easily seen. The reddish-orange color of the fossil makes for a striking display. 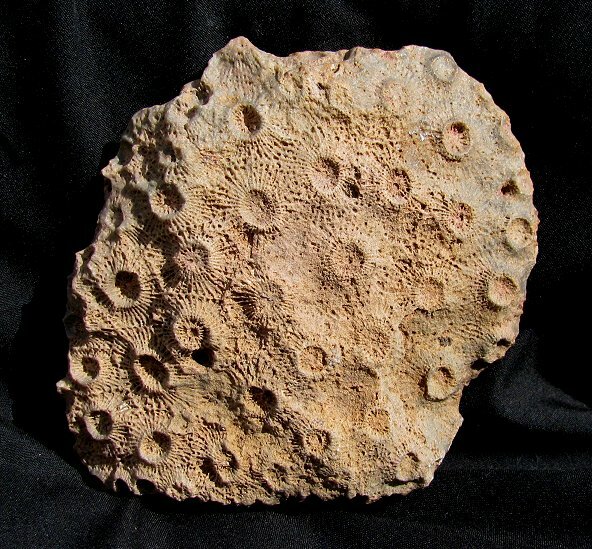 This is a very fine example of a fossil colonial coral.